Hi guys/girls. 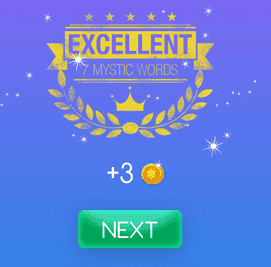 Welcome to Mystic Words Beige level 39 answers. Remember to look only the answers to the clues you are blocked. There is no fun if you see all the answers before trying to solve them first. Improve in appearance 7 letters answer, click here! An indefinite location 9 letters answer, click here! A bright spot on the parhelic circle 9 letters answer, click here! On the side away from the wind 7 letters answer, click here! Chinese mixed fruits 8 letters answer, click here! A hair style rolled under shoulder 7 letters answer, click here! Depriving one of self-esteem 11 letters answer, click here!